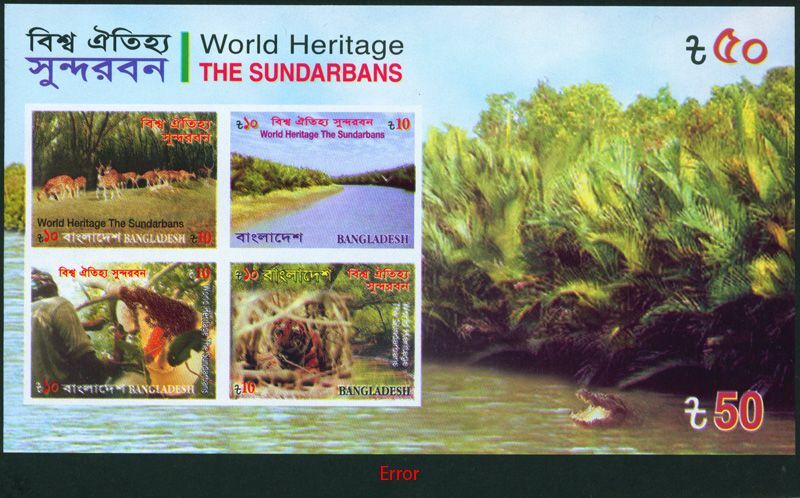 Color Shifting Error on (World Heritage - the Sundarbans M/S Imperf) 2008. Online shop for stamps, postal history covers, postal stationery. Topical covers and stamps. Bangladesh new issue information. Online auction. 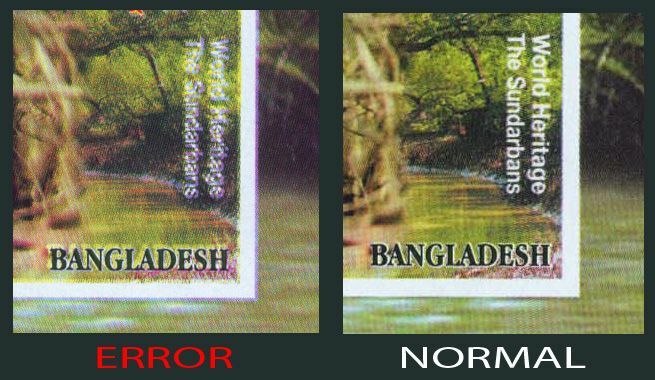 Bangladesh : Color Shifting Error on (World Heritage - The Sundarbans M/S Imperf) MNH with Normal S/S (Imperf) 2008. 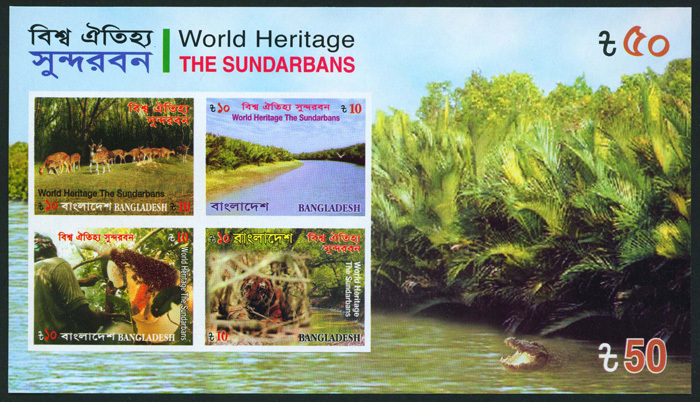 Due to color shifting "World Heritage - The Sundarbans M/S Imperf" word became blur.